The aim of this study is to determine secondary refugee students’ views about the problems they faced at Turk schools. In this direction, the refugee students’ views about methods & and techniques the teachers used in the class; school culture, rules, interaction, problems they have with their school friends; and the support of their families were determined. Moreover, their views about the school subjects, content, gains and necessity of these subjects; their competence in using Turkish; and their previous education’s effect on their current education were determined. In this study, qualitative research design was used. The study group consisted of the refugee students enrolled at two state schools in Elazığ city center in 2017-2018 academic year, second term. Maximum variation sampling method was used in the study. In determination of school, whether there are refugee students or not at that school was considered. From each school eight refugee students were selected and totally 16 refugee students were included in the study. In determination of these students, the views of headmaster and deputies head of the secondary school and teachers were considered. Volunteer refugee students participated to the study. A semi-structured interview form, which was designed by the researcher was used for data collection. Six semi- structured questions were asked to identify refugee students’ views about the problems they faced. These questions were reviewed by a professor and two assistant professors. The clarity of questions were negotiated with three secondary school teachers. With refugee students whom do not know any Turkish or English, the interview had through a translator. Study results revealed that refugee students have some problems at Turk schools because of several reasons like medium of instruction, courses contents, the lack of family support, school culture- rules, and methods& techniques teachers used. Several recommendations are offered based on the research findings. Ahmadoun, S. (2014). Turkey's policy toward Syrian refugees: domestic repercussions andthe need for international support.Brown, J., Miller, J., & Mitchell, J. (2006). Interrupted schooling and the acquisition ofliteracy: Experiences of Sudanese refugees in Victorian secondary schools. AustralianJournal of Language and Literacy, The, 29(2), 150.Dictionary of Migration Terms. (2009). International Migration Law. No. 18. Retrieved fromhttp://www.goc.gov.tr/files/files/goc_terimleri_sozlugu.pdf on 08.06.2018.Dryden-Peterson, S. (2016). Refugee education in countries of first asylum: Breaking openthe black box of pre-resettlement experiences. Theory and Research in Education, 14(2), 131-148.Fazel, M., Reed, R. V., Panter-Brick, C., & Stein, A. (2012). Mental health of displaced andrefugee children resettled in high-income countries: risk and protective factors. TheLancet, 379(9812), 266-282.Guler, A. (2013). The international refugee regime: an analysis of regime effectivenessthrough the Afghanistan Case. International Relations, 9(36).Kanu, Y. (2009). Educational pathways to successful social integration for African refugeestudents in Manitoba. Our Diverse Cities, 6, 114-119.Karlsson, P., & Mansory, A. (2002). Islamic and modern education in Afghanistan:conflictual or complementary?. Afghan Digital Libraries.Kartal, B., & Bascı, A. G. E. (2014). Asylum-Seeker and Refugee Movements TowardTurkey. Celal Bayar University Journal of Social Sciences, 12(2), 275-299.Kazu, İ. Y., & Gulecen, S. (2008). Investigation of Afghanistan educational system. Researchof Eastern Anatolia Region. 6(3).Kılıc, E., & Demir, S. B. (2017). National values of the Republic of Turkey from theperspective of Afgan refugees student in Turkey. Journal of Values Education, 15(34).Lifelong Learning. Retrieved from http://hayatboyu.meb.gov.tr/wpcontent/uploads/2017/08/NC_Atici.pdf on 08.06.2018.Mace, A. O., Mulheron, S., Jones, C., & Cherian, S. (2014). Educational, developmental andpsychological outcomes of resettled refugee children in Western Australia: a review of Schoolof Special Educational Needs: Medical and Mental Health input. Journal of paediatrics andchild health, 50(12), 985-992.Malkki, L. H. (1995). Refugees and exile: From" refugee studies" to the national order ofthings. Annual review of anthropology, 24(1), 495-523.Naidoo, L. (2010). Engaging the refugee community of Greater Western Sydney. Issues inEducational Research, 20(1), 47-56.Gomleksiz & Aslan (2018). Education Reform Journal, 2018, 3(1), 45-5858Roxas, K. C. (2011). Creating communities: Working with refugee students inclassrooms. Democracy and Education, 19(2), 5.Seydi, A. R. (2014). Policies of Turkey regarding the solution of educational problems ofSyrian refugees. SDU Faculty of Arts and Sciences Journal of Social Sciences, 31, 267-305.Shakya, Y. B., Guruge, S., Hynie, M., Akbari, A., Malik, M., Htoo, S., & Alley, S. (2012).Aspirations for higher education among newcomer refugee youth in Toronto: Expectations,challenges, and strategies. Refuge: Canada's Journal on Refugees, 27(2).Sidhu, R., Taylor, S., & Christie, P. (2011). Schooling and Refugees: engaging with thecomplex trajectories of globalisation. Global studies of Childhood, 1(2), 92-103.Sinclair, M. (2001). Education in emergencies. Learning for a future: Refugee education indeveloping countries, 1-84.Spink, J. (2006). Education, reconstruction and state building in Afghanistan. ForcedMigration (FMR), Education Supplement.Seker, B. D., & Aslan, Z. (2015). Refugee children in the educational process: An socialpsychological assessment. Journal of Theoretical Educational Science, 8(1).Seker, B. D., & Sirkeci, İ. (2015). Challenges for refugee children at school in EasternTurkey. Economics & Sociology, 8(4), 122.Taylor, S., & Sidhu, R. K. (2012). Supporting refugee students in schools: What constitutesinclusive education?. International Journal of Inclusive Education, 16(1), 39-56.Tunc, A. S. (2015). Refugee behaviour and its social effects: an assessment of Syrians inTurkey. Turkish Journal of TESAM Academy, 2(2), 29-63.Uzun, E. M., & Butun, E. (2016). Teachers views about the problems Syrian refugee childrenat pre-school education institution. 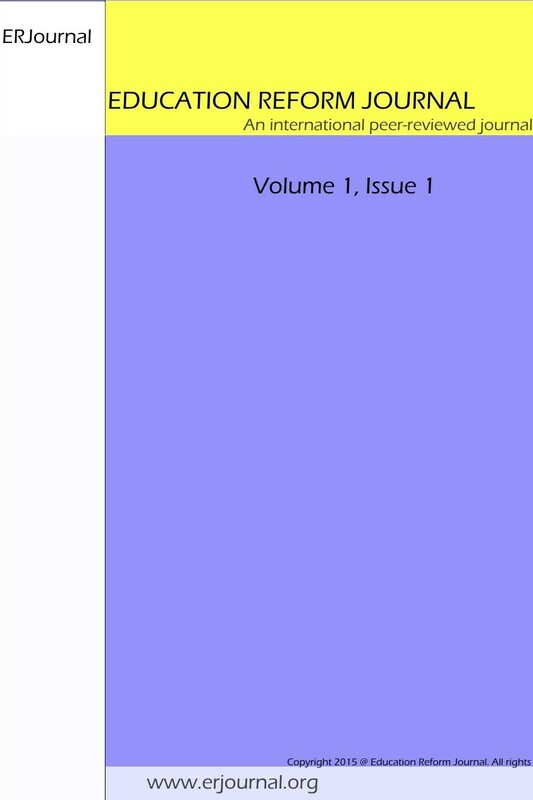 International Journal of Early Childhood EducationStudies, 1(1), 72-83.Unal, S. (2014). Turkey's unexpected guests: foreign immigrants and refugees experience inthe context of “other”. Zeitschrift fur die Welt der Turken/Journal of World of Turks, 6(3), 65-89.Unluer, E. (2015). Externalization of The Refugee Responsibility: The Role Of Turkey withinthe International Refugee System with Special Regard to Afghan Refugees. METU School OfSocial Sciences, Master Thesis, Ankara.Woods, A. (2009). Learning to be literate: Issues of pedagogy for recently arrived refugeeyouth in Australia. Critical Inquiry in Language Studies, 6(1-2), 81-101.Yavuz, O., & Mızrak, S. (2016). Education of school-age children in emergencies: the case ofSyrian refugees in Turkey. Journal of Migration, 3(2), 175-199.Yıldırım, A. & Simsek, H. (2006). Sosyal Bilimlerde Nitel Arastırma Yontemleri. [TheMethods of Qualitative Research in Social Science]. Ankara: Seckin Yayınları. ISNAD Gömleksiz, Mehmet Nuri , Aslan, Sibel . "Refugee Students Views about the Problems They Face at Schools in Turkey (Indexed in ERIC: ED586389)". Education Reform Journal 3 / 1 (July 2018): 45-58.